You guys. This month has been awesome. It’s only the 9th, and already I got an iPhone 6s (rose gold 128GB, naturement), went to Phoenix Fashion Week, met and was cooked for by a celebrity chef. But most importantly, in October 2015, I FINALLY GOT A SONICLEAR FACE BRUSH. Yaaaaassss! I’ve tried facial cleansing brushes before, but this one’s a vast improvement over its predecessors. It feels a bit like an electric shaver without the cutty bit when you use it, and leaves your skin feeling incredibly soft. Plus, it’s HOT PINK. (They call the shade Tutti Frutti.) Not baby-shower-wimp pink, but hot freakin’ pink. My fave. And the charger doesn’t plug in – rather, it’s magnetized to the brush. Love! 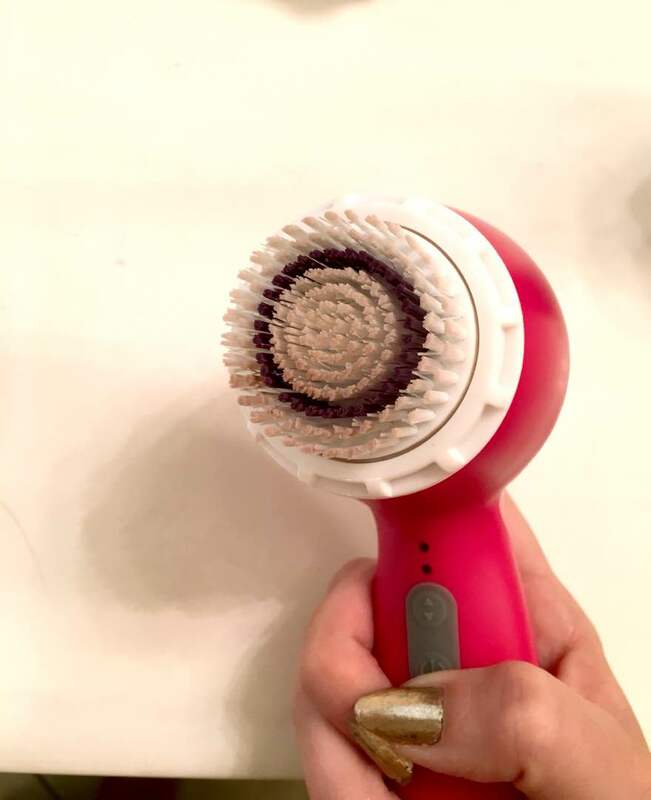 You can buy the Soniclear Petite from Ulta for $99 – it’s an awesome facial cleansing brush, and it’s stylin’ too! I have been itching after one of these for so long! Me too Kathryn. So glad I took the plunge! Thanks! I love reviewing these newer, more innovative products.